Are you as exhausted from the weekend as I am? For some reason, I'm not as well rested as I should be. After having nice lunch outside of Berlin with my boyfriend's parents and a Monday full of laying around with the boyfriend who had off of work, I feel as though I worked the whole weekend lol. I think I need a job to somehow get back into any kind of rythm...anyways. 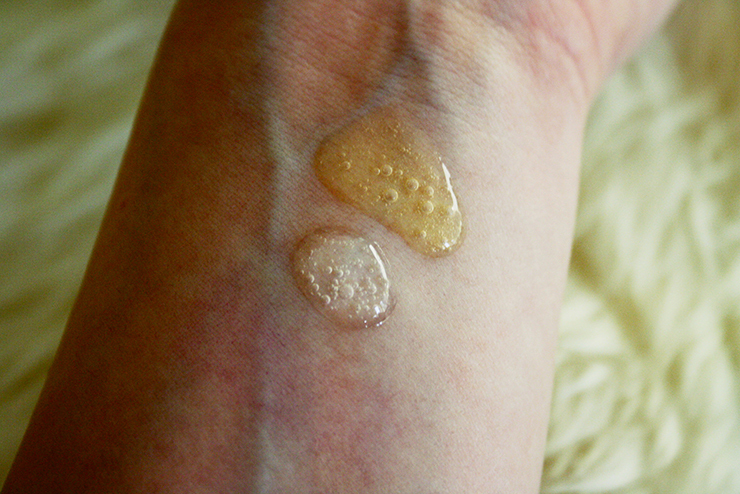 Excellent moisturizing effect of filtrate of Roksamfire callus provides firm and elastic skin. Fresh marine stem cells gives vitality and overflowing energy. Dermatotropic ingredient similar to the skin moist creates moisty and shiny skin. I hate to photograph holographic packaging but it's just sooooooo pretty in person, ah. I really really like the packaging. It's super sleek and just looks really cool, also with the colors. Kind of like mixing your own supernatural cleanser :D It's made out of plastic so it's easy to travel around with and probably won't shatter on the floor as easily as other products. Pump proper amount and apply on dry face with makeup, spread on the face and massage gently. After dessolving makeup, rinse with lukewarm water. I always knew something was "off" here but only now that I see the close-up picture I realize they misspelled "oil" lol. 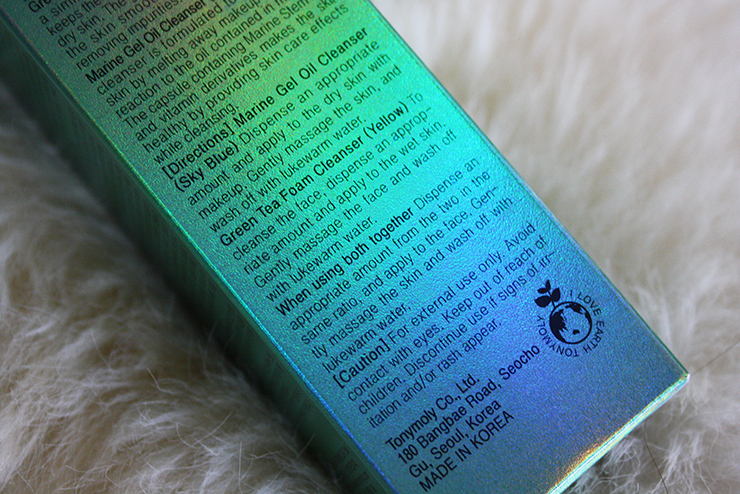 The small things floating around in the cleanser make it look even more fancy! Pump proper amount and apply on damp face. I honestly thought this was the oil because of the color buttt...nope, it's the foam cleanser. 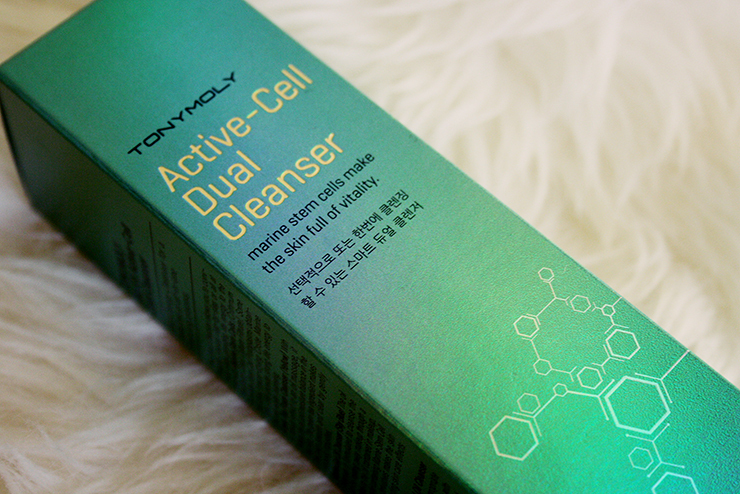 You can either use this as a second cleansing step or use both cleanser together if two separate steps are too much of a hassle. 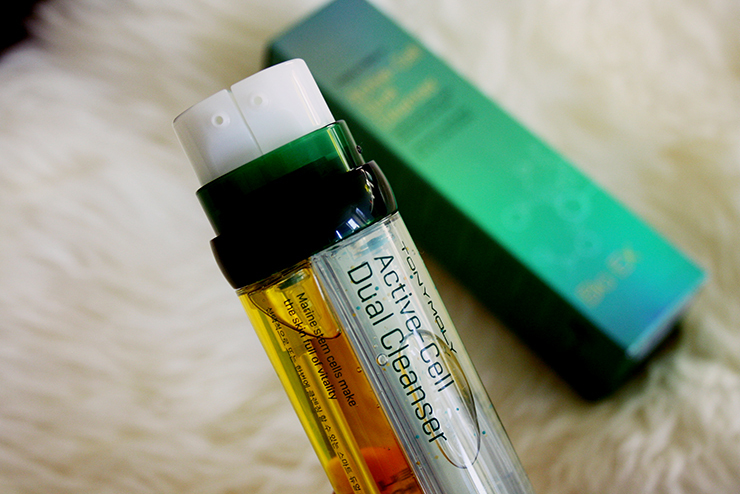 Both cleansers are similar in texture; the foaming cleanser is a bit more runny and less viscous than the gel oil. This is what one push of each looks like. 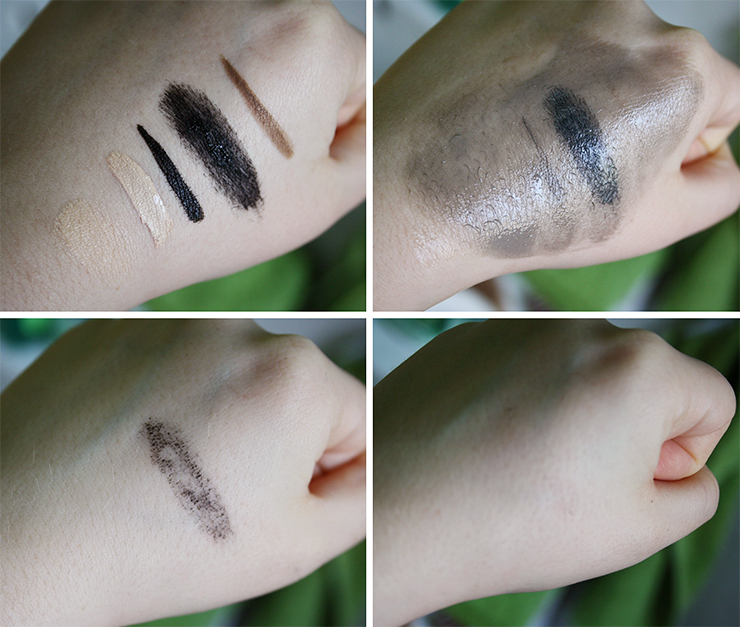 For this test, I have used all products that I personally use on a daily basis, from left to right: Laneige Pore Control Cushion, Luna Long Lasting Tip Concealer, Zoeva Cat Eye Liner Pen, Maybelline Colossal Volum' Mascara (the most waterproof mascara I own probably!) and MAC Eyebrow Pencil in "Brunette". Many cleansers fail ro remove the mascara so for this test I used a huge thick coat of it - admittely, way too much than I use in person, but well :D The cleanser (here I used both at once) removes everything very easily and clean - except for that huge mascara glob but that's kinda my fault. I think if you have a normal amount of mascara on it should remove it without problems. I used a tiny bit of the foam cleanser to remove the leftover mascara and it worked like a charm. I personally never remove my make-up with my cleanser but with a make-up wipe beforehand, so it doesn't really matter to me how well it removes make-up by itself - but since a lot of you do, I thought this was the best way to test it :) Really impressed with this one! 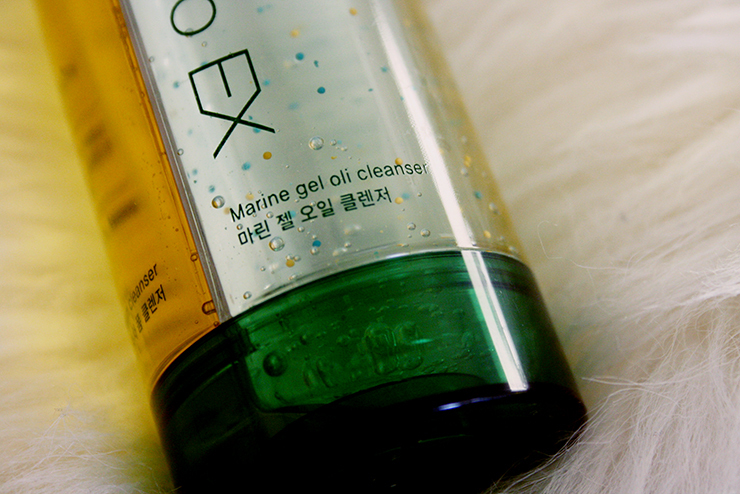 It doesn't foam up too much if you use both cleansers at once. I'm not the biggest fan of the scent, but since I'm washing it off I don't mind it too much - it's kind of soapy/muddy with a little bit of citrus. Odd. But not too strong. May be a problem if you're very sensitive to scents but I'm not. THE MOST IMPORTANT QUESTION: PH-LEVEL? ....that joy in my eyes when my PH-paper didn't really change color!!! YEAH! Unfortunately, I only have those PH-strips right now that are not as accurate as some others :( But hey, better than nuffin' right. 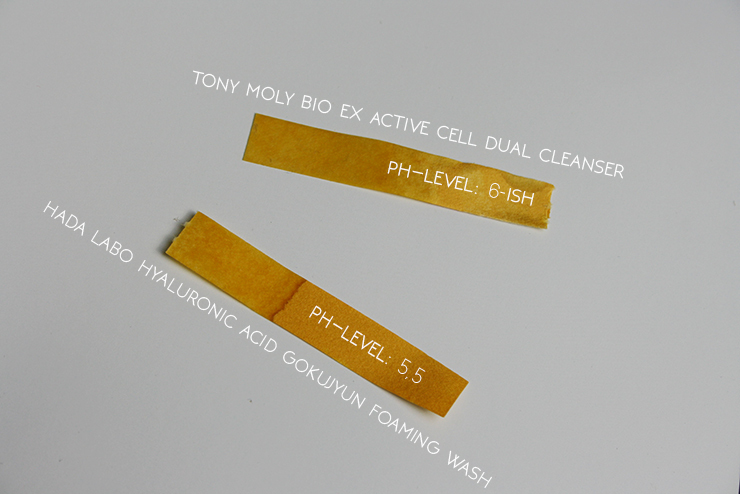 I also tested my beloved Hada Labo Foam Cleanser because I know that this one was tested a steady 5.5 so I used it for reference :) The Tony Moly Bio Ex leans sliiightly more green than the Hada Labo, but only by a tiny bit (for reference, my tap water which has a PH-level of 7,4 is a dark venom-y green - and so sorry for the bad lighting....) so I assume that it is somewhere around 6; probably 5,8 - 6,2 or something like this as it's very close to Hada Labo. I am so happy I got this result because it means I will def. 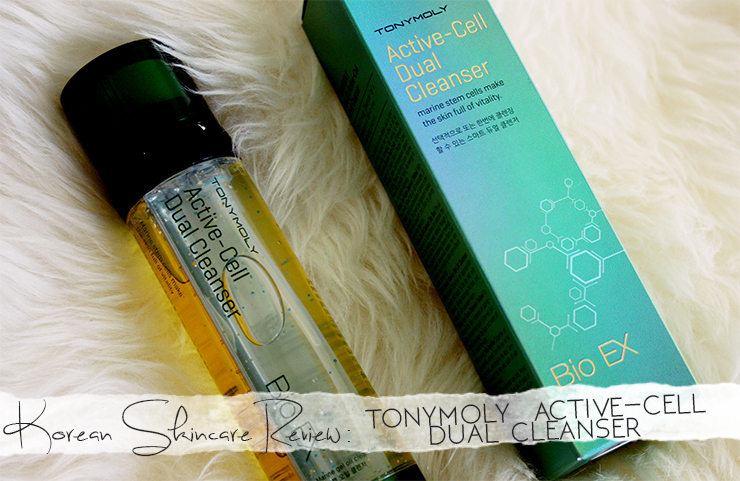 continue to use this cleanser :) Now I really want to try the other products of this line too.... they also have an essence and a serum that look super interesting! 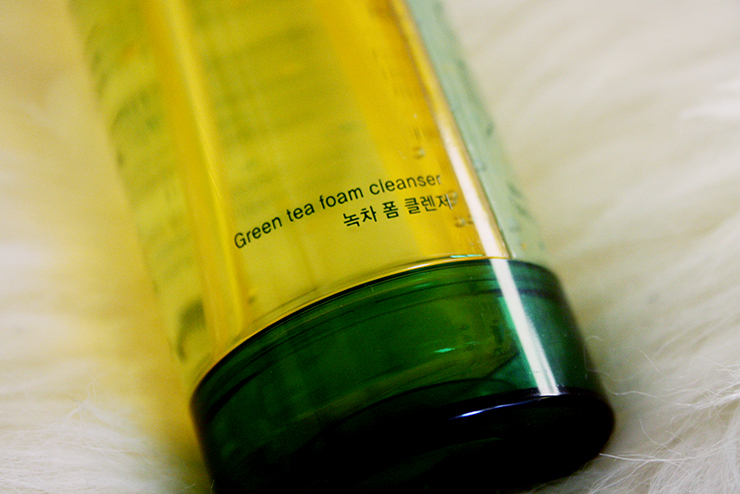 My skin doesn't feel tight after cleansing, on the contrary: nicely soft and fresh. 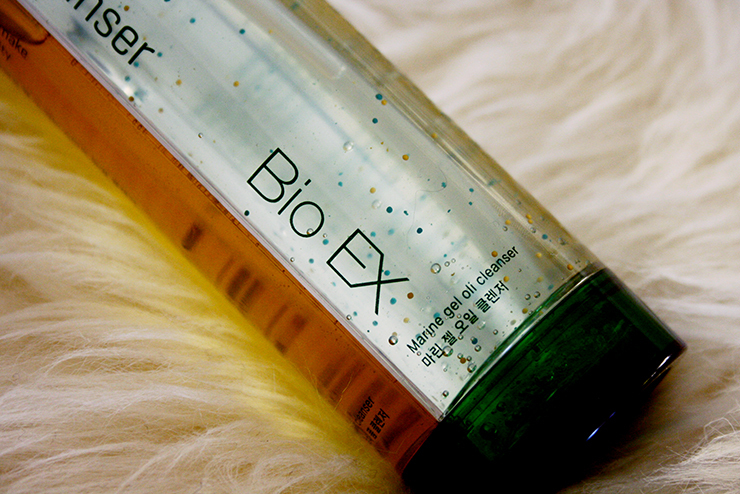 This cleanser is not only eyecandy, I also surprisingly enjoy to use it! I was afraid I'd have to toss it if the PH-level was too high but it's still in the usable range for me so I definitely recommend you give it a try! :) You can find the Bio Ex Active-Cell Dual Cleanser at Jolse as well as the other products of this line.